I know that most people read 1984 in high school, but for some reason, I just now got around to it. This is Orwell’s frank look at a world he saw coming; a world where right was wrong and people were scared to death of their Government. In Orwell’s nightmare, the nations of the world have divided into three superstates—Oceania, Eastasia, and Euroasia. All parts of the world not taken up by one of the three are generally considered not worth the time and effort. The Nations exist in a perpetual state of war. There are shortages in almost everything that a person would require for a decent life. Our story takes place in what was once Great Britain now joined with North and South America as Oceania. The Government is known only as The Party, which ascribes to a philosophy known as Ingsoc (English Socialism.) In reality, it is worse than a total dictatorship. Opposed to this tyranny are the followers of Emmanuel Goldstein, a nebulous character that may or may not exist. 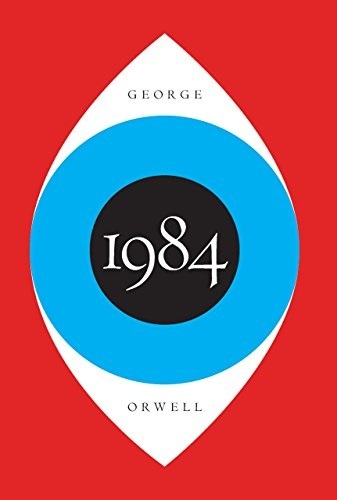 Outer Party member Winston Smith has rebelled against Party Policy as he begins to realize he has memories of a past that the party wishes forgotten. He is also pursuing an affair with a young woman of like mind named Julia. When caught they are forced to confess a load of bull and be reeducated to party policy.